Andy is available as a Director of Photography and as a Director with experience across multiple genres from documentaries, to corporate films, music videos, narrative fiction and commercials. Born in Vietnam during the Indochina conflict, Lap provided for his whole family by painting. He bought a one way ticket to Paris where he met the love of his life, an American Diplomat. They both moved to Africa for the next 24 years and now reside in Allen TX. 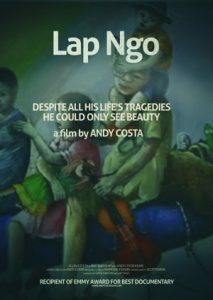 Lap saw many tragedies throughout his life but he always managed to see the beauty in everything. 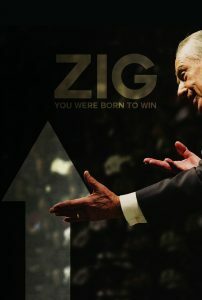 Zig is a documentary about Hilary Hinton Ziglar’s success and transformational journey from his early years in Yazoo City Mississippi, to his failed initial sales career, to world-wide highly-acclaimed motivational speaker and best-selling author. Zig focus on Mr. Ziglar’s success philosophy described in his bestselling book See you at the top, the Ladder to the top, through the words of extremely successful people who applied his philosophy of everlasting success. A simple philosophy that anyone can embrace and become wildly successful too. This short film is based on a true love story where a couple broke-up for not sharing the same religious views. But when John began seeking God, God gave him several signs. Most of the time we don’t see or pay attention to the signs around us but always remember Love Never Fails. 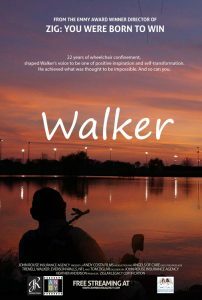 Walker is a documentary about Trenell Walker whose life was completely transformed at the age of 14 when he became quadriplegic while playing high school football . Through the testimonials of family, friends and coaches his inspirational story of incredible perseverance and positive thinking is now inspiring many to transform their lives and go beyond their own limits. God wants to gift us unthinkable things, but we need to trust His will and let go of the small things. Even when the small things seam to be the only thing, faith will bring us what is in his plan.